Welcome to Episode #4 of my food fails! 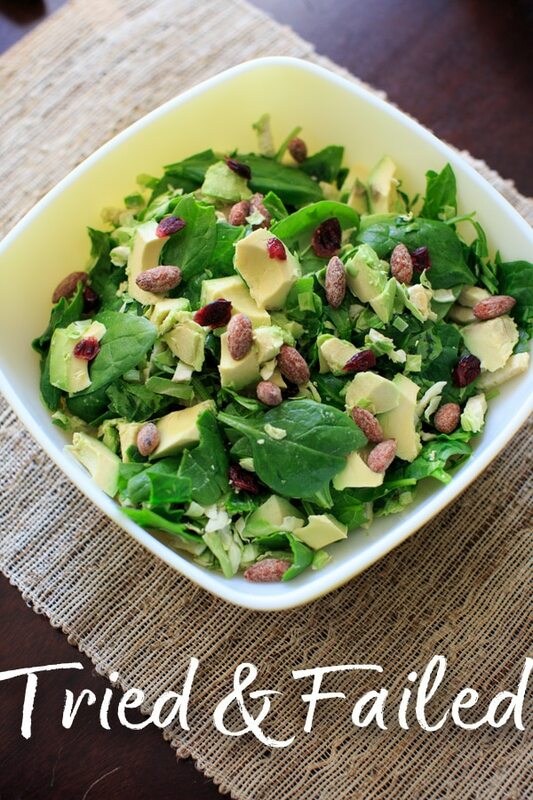 Everybody has kitchen fails, and especially for someone who develops recipes for a living – there are a lot! Apparently 3 of them were pumpkin related, which now makes sense why I felt like I was tired of pumpkin. See: Episodes 1, 2, and 3 for more. 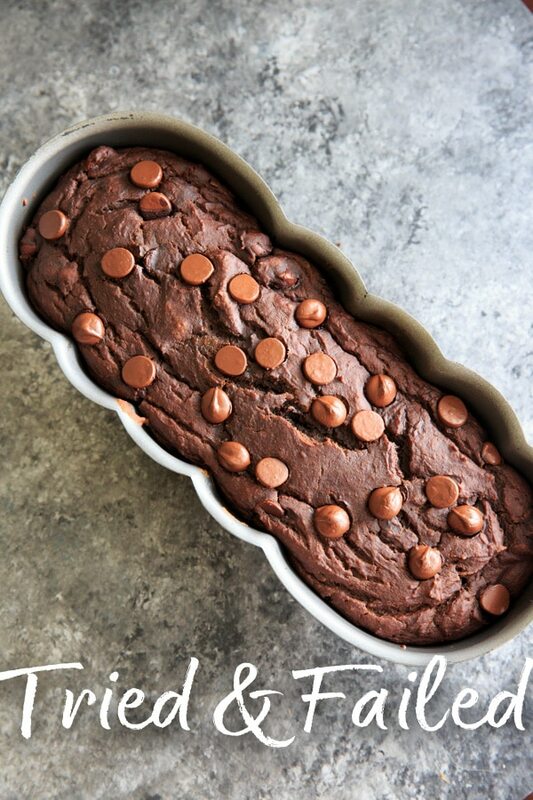 Double Chocolate Pumpkin Bread: Looks good, no? I started out with the prettiest! BUT I made SIX different loaves and they all had something wrong with them. Hard to believe, but I don’t mess around with subpar chocolate recipes. I tried to make it vegan (you’ll see more evidence below that vegan baking is not my forte) – that never seemed to finish cooking. Then I tried to use less pumpkin – somehow they ended up hard as a rock. 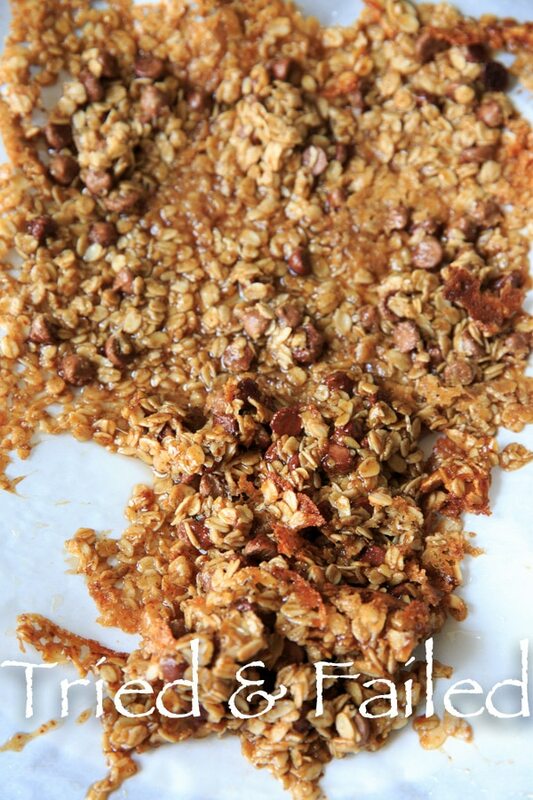 I also once added sprinkles, and attempted to sweetened with maple syrup. Then I gave up (for now). 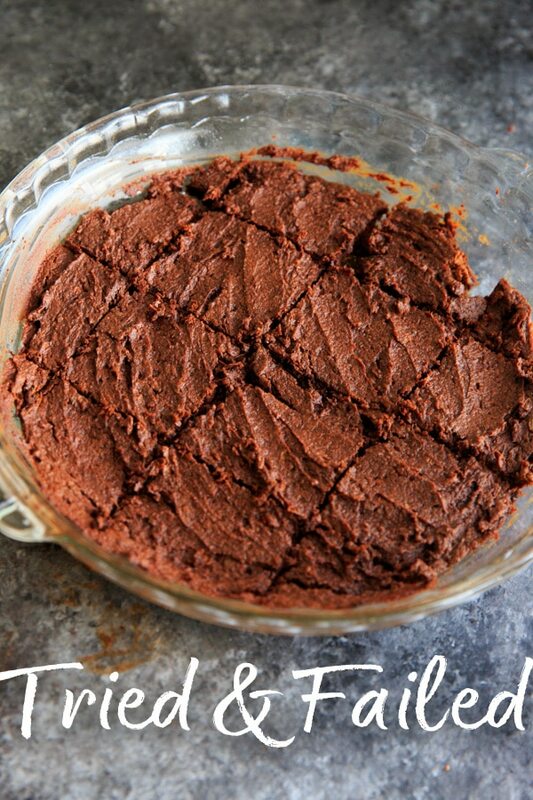 3-ingredient Sweet Potato Brownies. It was missing an ingredient, like taste. 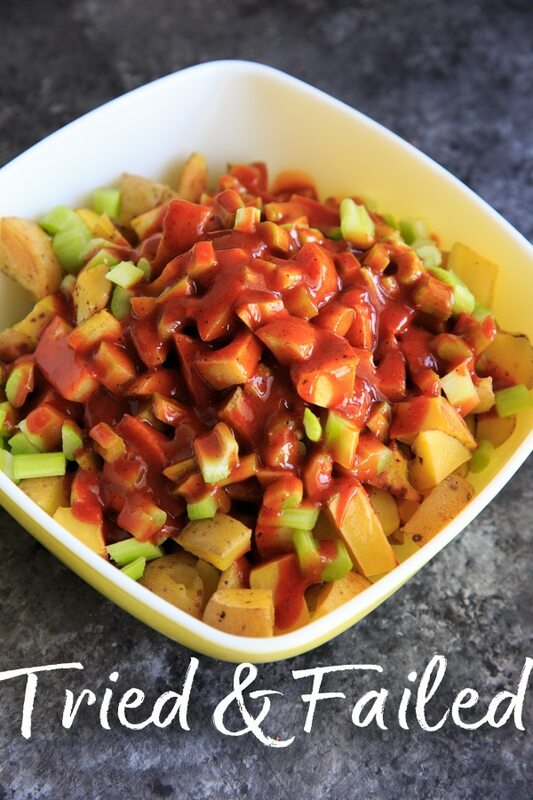 BBQ Potato salad. It sounded like a good idea? 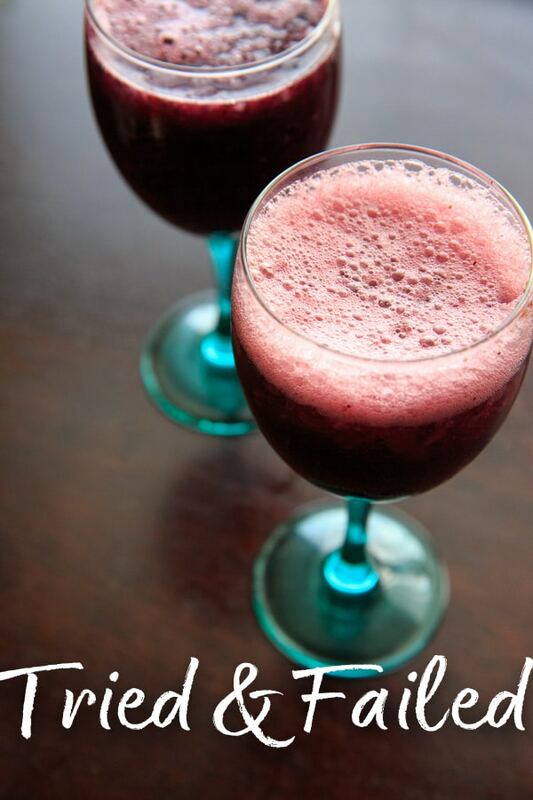 Wine slushies. Again, it sounded like a good idea at the time? Maybe I used the wrong kind of wine. Chia bars. Was trying to re-create similar ones to the kind they sell at Trader Joe’s. I haven’t quite nailed down how to get bars to stick together! 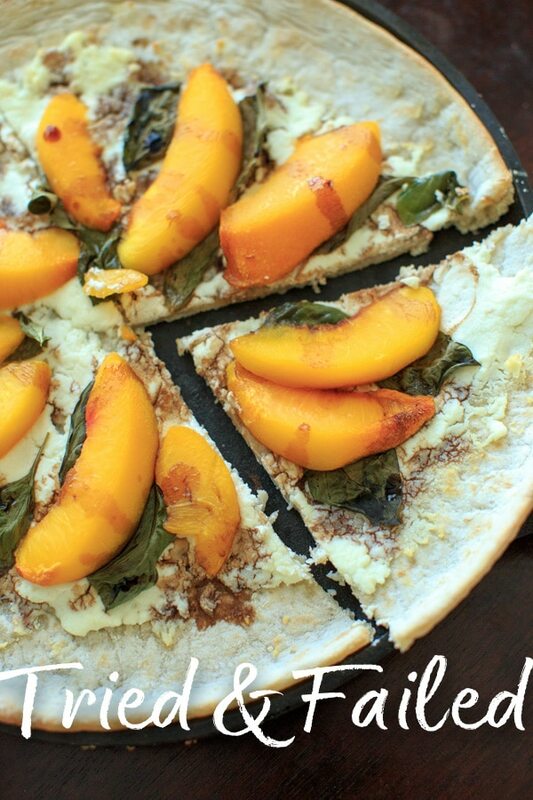 Peach, basil and goat cheese pizza. That time I used a gross store-bought crust with frozen peach slices. And obviously was before I learned about balsamic glaze instead of vinegar. Note: Use my homemade pizza crust instead. That time I tried to salvage a shaved Brussels sprouts salad with anything else I had on hand (apparently mostly green things) – and then the universe intervened by having a lightbulb shatter on the table right next to the bowl. 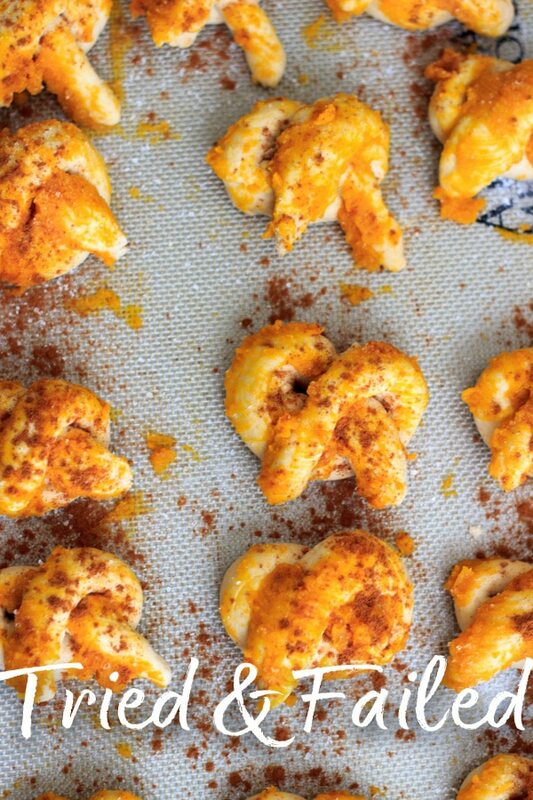 Pumpkin Garlic Knots. Yuck. 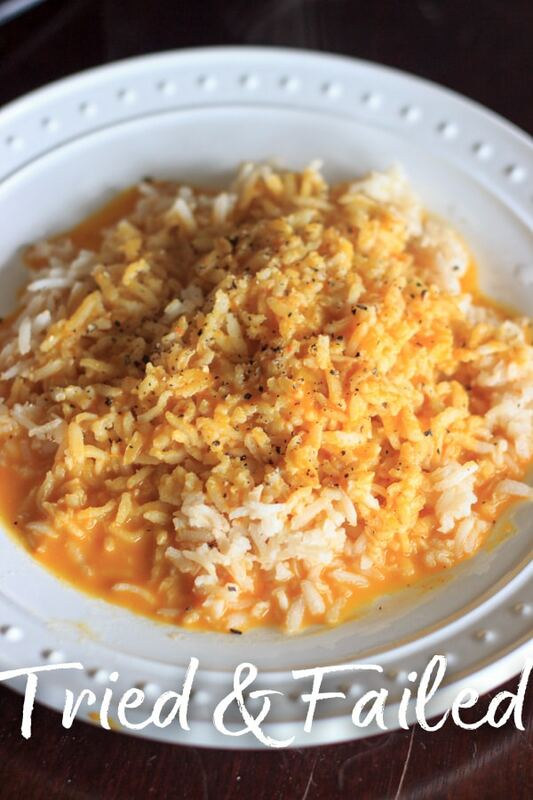 The second of the pumpkin failed recipes. No wonder I felt like I had been talking about pumpkin so much! 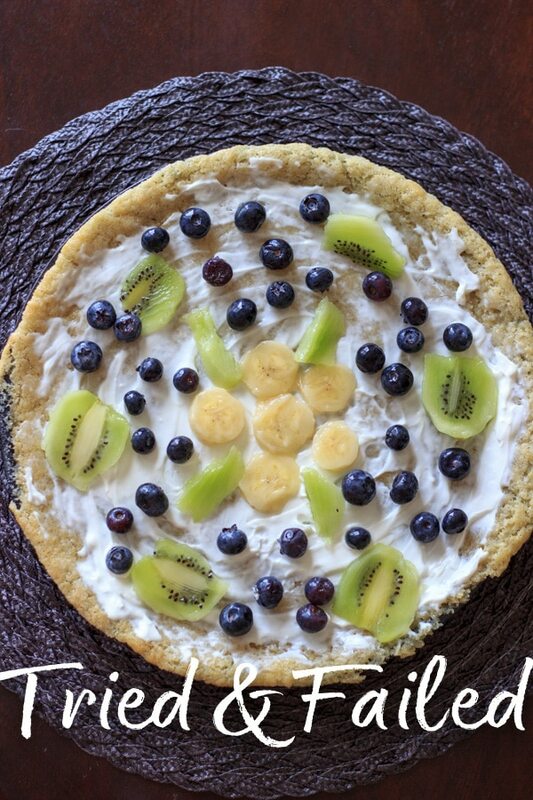 A pretty fruit pizza on an undercooked sugar cookie, makes for a soggy mess. Remember those lactation cookies? Well, I tried a vegan version. No, I wasn’t going for bars. I don’t even know what’s in here, the folder is just called “Rice.” Probably pumpkin though. 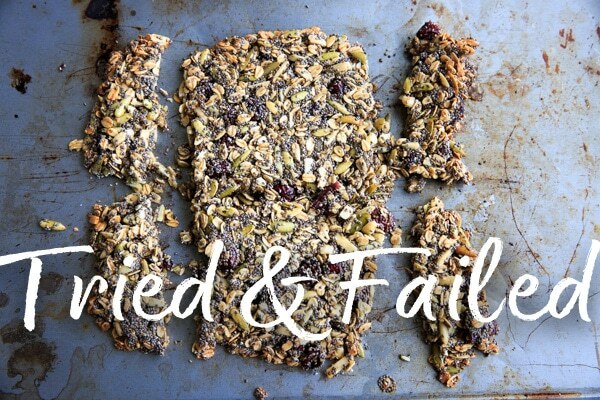 And that’s a wrap for this edition of food fails! Share your latest in the comments!